Born in Berwirk-on-Tweed, Scotland, Henry William Kirkwood initially trained as a solicitor in Edinburgh. He was also a professional artist, painting mainly landscapes in oil. After emigrating to New Zealand circa 1879, he appears to have relocated frequently while working as a professional artist (Dunedin 1888-89, Wellington 1890-94, Nelson 1894-1904, New Plymouth 1906-10, Wanganui 1911-14, Palmerston North 1914-17, Napier 1917, Auckland 1918-22). In early 1924, Henry moved to Sydney where he later died. Throughout his life, Henry continued to paint and teach pupils, he is also known for contributing to a large panorama of the Pink and White Terraces, along with Colin Mackay and L.W.Wilson, which was later exhibited throughout New Zealand. H.W. 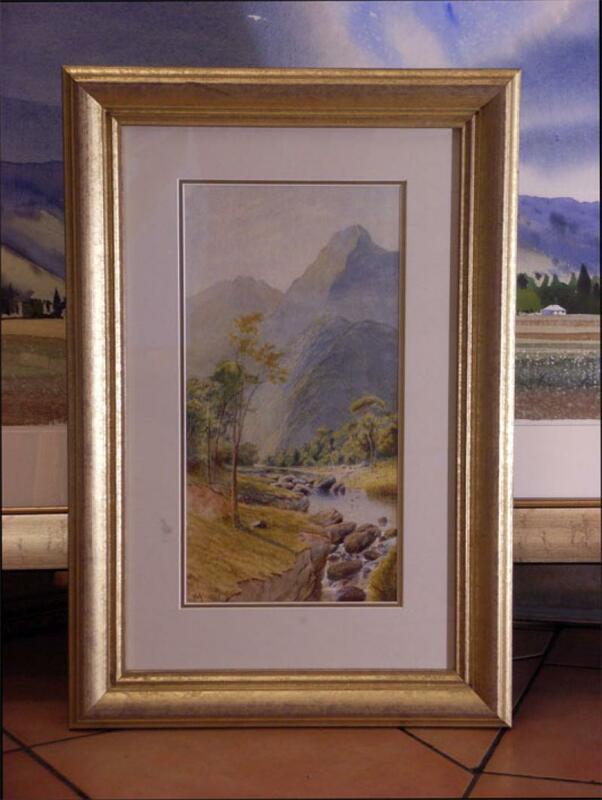 Kirkwood is represented in public and private collections throughout New Zealand.